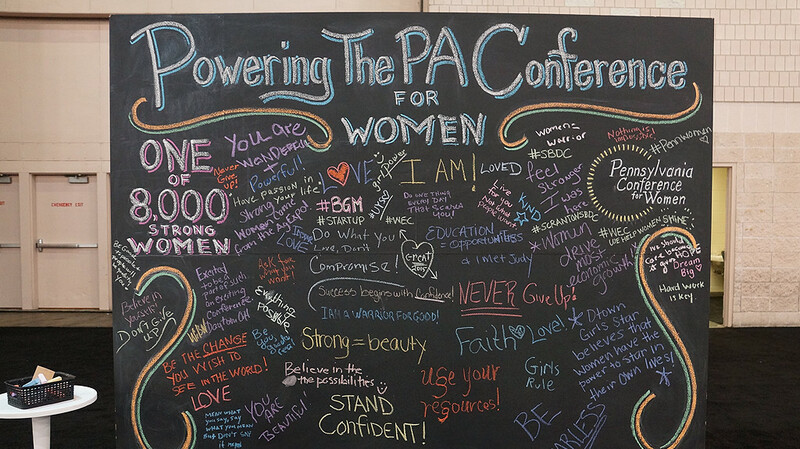 On Nov. 19, over 8,000 women from across the tri-state area attended the 12th annual Pennsylvania Conference for Women at the Pennsylvania Convention Center. Drexel LeBow served as a corporate sponsor for the program, which is the largest personal and professional development conference for women in the area. The conference brought together diverse keynote speakers including women’s activist Gloria Steinem, celebrity chef Rachael Ray, U.S. soccer player Carli Lloyd, Lyberian activist Leymah Gbowee and actress Jessica Alba and offered attendees a wide variety of workshops, roundtables and educational opportunities. Alison Young, executive director of Drexel LeBow’s Institute for Strategic Leadership, served as a member of the conference’s board that helps shape the program and make sure they develop a diverse program that appeals to a large audience. “It’s the one place each year that over 8,000 women from across Pennsylvania can come together to network, learn and get inspired,” she says. “The diversity of the sponsors, presenters, workshops and attendees means there’s something for everyone, whether you’re looking for info on earning a degree, starting a business, growing your current business or professional development,” she says. As a sponsor of the conference, LeBow faculty and professional staff were actively engaged in all aspects of the program, from presenting workshops to staffing the exhibit hall. LeBow also sponsored the Career Pavilion in the conference exhibit hall, which served as the hub for professional career information and included career coaching and workshops, resume reviews and exhibitors. Special workshops in the LeBow Career Pavilion offered practical advice for professionals of all levels. In the morning, participants discussed how to be most effective in behavioral based job interviews at a workshop led by Rita DiCarlo, assistant director of LeBow Undergraduate Career Services. In the afternoon, Stephanie Johnson of LeBow’s MBA/MS Career Services led a workshop on effective job search strategies, and adjunct MBA faculty member Susan McGann Page helped participants learn the distinction between mentoring and coaching. Faculty and professional staff from LeBow, including the Undergraduate and MBA/MS Career Services, and the Steinbright Career Development Center also offered resume reviews and career advising for participants throughout the day. At the beginning of the conference, LeBow’s Corporate and Executive Education hosted a VIP Learning and Networking Breakfast that included a panel discussion on leadership, learning and employee development. The panel included Rosa Colon-Kolacko, senior vice president at Christiana Care Health System; Tamara Ganc, chief learning officer at Vanguard; Charity Huges, vice president of human resources at Hughes Charity; and Jackie Linton, deputy managing director for the City of Philadelphia. Mary Mawritz, assistant professor of management at LeBow, served as moderator for the discussion, which focused on the panelists’ leadership journeys, overcoming challenges and how employee learning and development can drive organizational success. Attendees also had an opportunity to ask additional questions related to getting buy-in and balancing work and life. LeBow faculty, along with over 100 industry leaders, presented breakout sessions throughout the day focusing on topics such as leadership, career advancement, personal branding and technology. Mawritz served on a panel for young professionals on the skills they need to build their careers. Young served as host for a personal development workshop, featuring author Elizabeth Thornton on being an objective leader. Young notes that while this year’s conference was extremely successful, LeBow’s involvement in supporting women in business will not end with the conference. 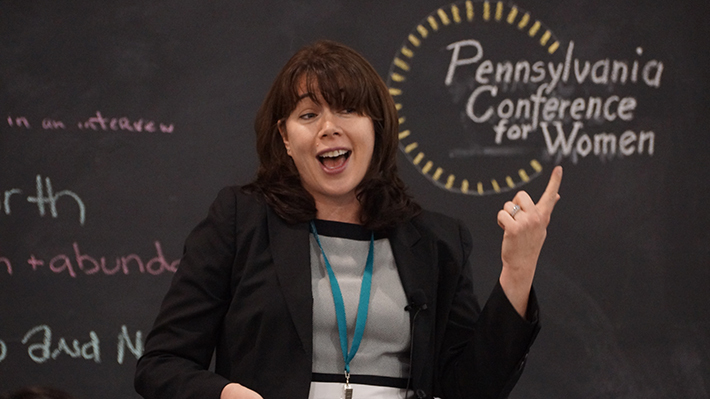 Mary Mawritz, PhD, assistant professor of management, shares advice for women to build successful careers, from her 2015 PA Conference for Women panel discussion. Former Secretary of State Hillary Clinton took the stage at the Pennsylvania Conference for Women to announce a new initiative for the Clinton Foundation called No Ceilings: The Full Participation Project. Nov 20, 2015 - Drexel LeBow sponsored the Career Pavilion and provided experts for resume reviews, interview tips and career advice. Partner with Drexel LeBow to develop the active and exemplary leadership your organization needs to excel.